Prediabetes is a condition in which your blood sugar is higher than normal, but not as high as it would be if you had diabetes. If you have prediabetes, you may have no symptoms. However, you are at higher risk for developing diabetes. If you get diabetes, you will need to manage it with steps such as taking your blood sugar multiple times a day and using medications, possibly including insulin injections, if you want to prevent complications. The majority of people who have prediabetes develop diabetes as insulin resistance progresses. If you're asking "What happens if I get diabetes", it's not pretty. If you get diabetes, you will be at higher risk for health problems such as hypertension and stroke, heart disease, kidney disease, blindness, and infections leading to amputations. Nearly 1 in 10 adults, including nearly 1 in 4 adults over age 65, have diabetes. About 1 in 4 Americans with diabetes do not know they have it. Prediabetes is a risk factor for the most common kind of diabetes: type 2 diabetes. Type 2 diabetes has a genetic component – that is, some people may be more at risk based on their family history. Still, your risk for type 2 diabetes is also largely related to lifestyle factors that you can modify. You may be at risk for prediabetes if you have one or more of the following risk factors. Low HDL (“good”) cholesterol under 35 mg/dL. High triglycerides over 250 mg/dL. Blood pressure over 140/90 mmHg or being treated for hypertension. Being of a certain high-risk ethnic group, such as Hispanic/Latino, Asian American, African American, American Indian, Alaska Native, or Pacific Islander American. Having had gestational diabetes or had a baby weighing over 9 lb. at birth. Obesity, or excess body fat, is a significant risk factor for diabetes. It is usually assessed using body mass index, which accounts for your height and weight. You can use a BMI chart to find your BMI. For most people, a BMI greater than or equal to 25 kg/m2 is considered to be a risk factor for type 2 diabetes. However. 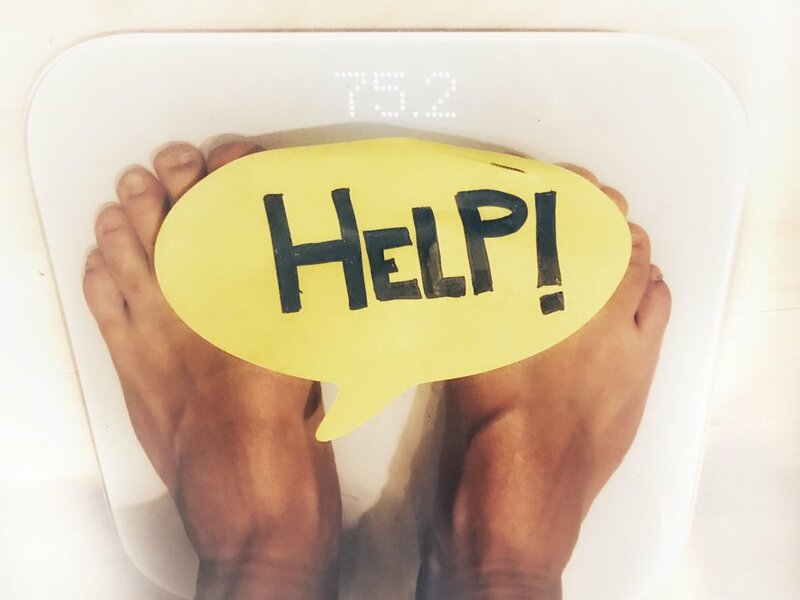 Asian Americans are considered to be at risk with a BMI of at least 23 kg/m2, while Pacific Islanders are not considered at higher risk until the BMI reaches at least 26 kg/m2. For example, if you are 5’3” tall and African American, your BMI would not put you at risk until you reached a weight of 141 lb. or more (that is the weight corresponding to a BMI of 25). You would be considered at risk at a weight of 130 or more lb. (BMI of at least 23) if you were Asian American, and you would be considered at risk with a weight of 146 lb. or more (a BMI of at least 26) if you were a Pacific Islander. You are also at risk for prediabetes if you have low physical activity levels. Exercise increases insulin sensitivity so that the working muscles can take up more glucose from the bloodstream to use it as fuel for exercise. Exercise also helps control body weight, to reduce extra body fat. Whether you have ever been diagnosed with high blood pressure (hypertension). Whether you are physically active. Whether you are a man or a woman, and, if you are a woman, whether you have been diagnosed with gestational diabetes. Eating more vegetables at meals and for snacks. Swapping fatty red meat for lean cuts, skinless poultry, fish, egg whites, and beans. Choosing water or decaffeinated black coffee or plain tea instead of soft drinks, energy drinks, and other sugar-sweetened beverages. Choosing whole grains instead of refined, fruit instead of sugar-sweetened dessert, and olive oil instead of butter. Baking, grilling, steaming, and roasting instead of frying. Serving yourself smaller portions of high-sugar, high-fat, and high-carbohydrate foods. Cooking for yourself instead of eating out. Gardening and mowing the lawn. Playing soccer or singles tennis. “Hemoglobin” is the type of protein that carries oxygen in your red blood cells. It delivers the oxygen to the cells in your body as your blood circulates. “Glycated” means that a sugar, or glucose, molecule, is attached. The glycation (or glycosylation) process can occur when there is too much sugar in your blood – that is, when blood sugar levels are high. The online prediabetes test is located on the CDC’s website, and it takes only a minute to complete. First, answer the 7 yes/no questions. Next, see how many points you got for each question. You get 0 points for a question if your answer was, “No.” If you answered, “Yes,” you get the following numbers of points. Are you a woman who has had a baby weighing more than 9 pounds at birth? (1 point). A high birth weight can mean that that mother had some trouble controlling blood sugar during pregnancy. From this question, you can see that this can put you at risk for prediabetes even after pregnancy. Do you have a sister or brother with diabetes? (1 point) This question lets you know that prediabetes has at least a small genetic component – it can run in families. Do you have a parent with diabetes? (1 point) Again, this is a question that considers your genetic risk. If your mother or father had diabetes, they could have passed down the higher risk of it to you. Find your height on the chart. Do you weigh as much as or more than the weight listed for your height? (5 points) This question gets at your weight, since extra body weight increases your risk for prediabetes. The chart that the question refers to shows you the weights corresponding to a BMI of 25 or over for your height – that is the BMI that is considered to be at risk for most people (for Pacific Islanders, the at-risk BMI is 26 or over, and for Asian Americans, the at-risk BMI is 23 or over). Are you younger than 65 years of age and get little or no exercise in a typical day? (5 points) Exercise is important for keeping your blood sugar levels under control. Even if you are not over 65 years, old, being physically inactive gives you an increased risk for prediabetes. Are you between 45 and 64 years of age? (5 points) Your body’s ability to control your blood sugar tends to decrease as you get older, so being over 45 years old increases your risk for prediabetes. Are you 65 years of age or older? (9 points) The older you get, the higher your risk for prediabetes because of poorer blood sugar control. Still, the reason why your body may tend to have more trouble keeping down blood sugar may not be so much related to “aging” as to the tendency to have more body fat and less lean muscle mass as you get older. This means that you can lower your risk by losing extra weight to lower body fat, and exercising to increase muscle mass. Then, add up the points you received on each question to get a total score. If your score is 0 to 2, that is great! It means you probably do not have prediabetes right now. Now is a good time to think about what you can do now to keep your risk low in the future. You can consider making sure you eat plenty of healthy foods, avoid too many sugary and fatty foods, and get regular physical activity if you do not already exercise. If your score is 3 to 8, your chance of having prediabetes right now are low, according to the CDC. What you can try to do now is to keep your risk low. Try to keep your weight below the healthy cut-off, or lose excess weight if you are above that number. You can also work on eating a healthier diet with plenty of nutritious foods, such as vegetables, whole grains, and plant-based proteins. Getting more exercise can help you stay healthy, too, as long as your healthcare provider approves. If your score is 9 points or over, you have a high risk of having prediabetes now. The CDC recommends that you talk to your healthcare provider. You can get a test to see if you have prediabetes. The options that you have when you test for prediabetes depend on your health care coverage. You can ask your primary health care provider how to get tested. If you have individual or group insurance through your employer, you may have to pay a copay or hit your deductible. If you do not have insurance, you may need to pay out of pocket, but a glucose test can be relatively inexpensive. Medicaid may cover your test, and Medicare will cover it if your provider provides a reason why you need the test. A test for prediabetes is easy and fast. All you need is a simple blood draw to get a fasting blood sugar test or to test your A1C levels. An oral glucose tolerance test (OGTT) can take up to a few hours. You will need to stop eating the night before your test if it is a fasting test or OGTT. Your results can come within a day or a couple of weeks, depending on the lab and your healthcare provider. The International Statistical Classification of Diseases and Related Health Problems, or ICD, is a standardized list of conditions and treatments. The World Health Organization and its members all support its use. It helps providers keep track of their patients’ conditions, and allows for reimbursement for treatment and care. It is currently in its 10th version, known as ICD-10, with ICD-11 scheduled to come out in 2018. Since 2015, healthcare providers have been required to use ICD-10 to receive reimbursement for care. The Centers for Medicare and Medicaid, or CMS, is the largest provider of prediabetes and diabetes care in the U.S., and it also requires its providers to use ICD-10 for reimbursement. Most ICD codes include information such as the category of the disease, its cause, which body part(s) is/are affected, and how severe the condition is. The ICD-10 code for prediabetes is R73.03. The “R7” portion refers to an undiagnosed condition linked to abnormal blood test results. The “3” following “R7” completes the basic code for an elevated fasting blood glucose level, and “.0” shows that the concern is abnormal glucose. 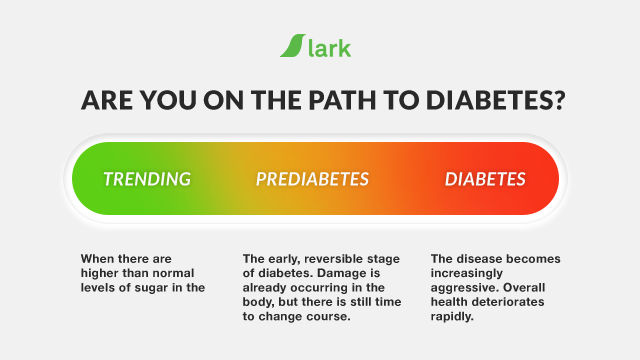 Finally, the “3” at the end indicates prediabetes. There are multiple ICD-10 codes for diabetes, since there are different types of diabetes, such as types 1 and 2, gestational, and diabetes due to other factors. The general code for Type 2 diabetes is E11. These are some additional beginnings of codes for some types of diabetes. The code E11.9 refers to type 2 diabetes without complications. Your doctor could add additional digits to the code if you have complications. The Centers for Medicare and Medicaid provide a three-part checklist for providers to follow when documenting a patient with diabetes. The type of diabetes, such as Type 1, Type 2, gestational, or induced by drugs or underlying conditions. Complications related to diabetes, such as a foot wound resulting from diabetic neuropathy. Treatment provided to the patient, such as medications such as insulin or metformin. What Is the Prediabetes ICD-9 Code? The ICD system is periodically updated, and ICD-9 is the version that was used before ICD-10. It is now outdated. On the whole, ICD-10 is more specific than ICD-9 was. The previous version had 6,969 codes, while ICD-10 has 12,420 codes. This allows for more specific classifications of medical conditions and information about them, such as underlying causes if they are not primary. There are a few significant changes between ICD-9 and ICD-10 that are related to diabetes and blood sugar control. One is that healthcare providers can specify if the diagnosis of high or low blood sugar (hyper or hypoglycemia) is the result of an external procedure rather than diabetes. Another change is that the provider can select a specific secondary cause, if appropriate, rather than stating that diabetes is a secondary effect of a procedure. The prediabetes ICD-9 code is 790.29. This is the code that was used for reimbursable medical treatment from 2012 through September of 2015. While the code could be used for prediabetes, it was also used to indicate additional conditions such as “secondary diabetes mellitus with hyperglycemia” and “steroid induced hyperglycemia.” In other words, it was not as specific as the ICD-10 code for prediabetes. When you have prediabetes, you should be aware of the amount and type of alcoholic beverages you drink. Alcohol can interfere with the actions of insulin and lead to higher blood sugar levels – but sometimes it has the opposite effect and can actually decrease your blood sugar to dangerously low levels if you have diabetes. Alcohol lowers your inhibition (“relaxes” you) so you may have trouble saying no to unhealthy foods that you would normally not eat: think about bar snacks and restaurant foods especially! Alcohol increases appetite, so you feel hungrier and may eat more. Many mixed drinks have high amounts of sugar from juice and soda. This can raise your blood sugar. Alcohol and alcoholic beverages are high in calories. They can interfere with weight loss or weight control efforts on your part. The recommendations for drinking alcohol when you have prediabetes are similar to the recommendations for healthy adults – be cautious! Stay under 2 drinks per day if you are male, and under 1 drink per day if you are female. These are some other tips for drinking safely. Never drink on an empty stomach: plan to have at least a light, healthy snack while you drink, or a healthy meal. Drink slowly to slow the absorption of alcohol into your bloodstream. Drink water while you have your alcoholic beverage to prevent dehydration. Select beverages that are not sugary. Let your doctor know if you have any questions about a safe level for you, or any concerns about drinking alcohol. If you think you may have prediabetes or are at risk for getting diabetes, you might want to check your eligibility to join a CDC-approved Diabetes Prevention Program, or DPP. Any CDC DPP program that you join is designed to lower your risk for diabetes over the course of a year. You can expect some standard characteristics in any DPP program you join. A standard curriculum with a different lesson each week on topics related to a healthy lifestyle. Help with goal-setting action plans to make healthy behavior changes. Tools such as food and fitness logging and action plans to make your healthy intentions easier to implement. Multiple lessons on healthy eating, increasing physical activity, and overcoming barriers to achieving these goals. Tips for losing weight gradually as you integrate healthy choices into your life. Many DPP opportunities offer their weekly lessons at in-person meetings that you attend. If traveling to on-site meeting locations sounds inconvenient to you, or if you are shy about going in person, you might want to look into a virtual DPP program that you can participate in on your time from your smartphone. Your height and weight, since that can affect prediabetes risk. Personal history of gestational diabetes, if you are a woman who has previously been pregnant. Other background information, such as your level of physical activity and your age. The results of this test can show whether you might be eligible for participation in a virtual DPP coaching program. You will be contacted if you are.